Avanti Salon & Spa provides a wealth of pampering services by a highly trained and professional staff second to none. 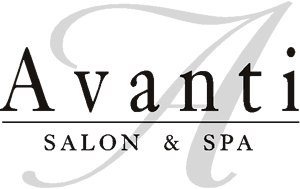 As your place to escape, relax or rejuvenate, Avanti Salon & Spa caters to both women and men, offering a full range of services from amazing hair cuts and coloring to refreshing facials, blissful massages and relaxing pedicures, all in a comfortable and soothing setting! Avanti indulges you from the moment you arrive through the doors and strives to make your experience at our Salon &amp; Spa a destination of pleasurable escape! If you are interested in a special service, booking a group party, or would like to create a customized pampering package, our knowledgeable staff is here to accommodate your needs. This seven-hour relaxing adventure includes a delightful Aroma Massage, Body Wrap, Aroma Facial, Deluxe Spa Pedicure, Deluxe Spa Manicure, and Hair Finish. A light lunch is included. A romantic rendezvous designed exclusively for couples. Your dreamy getaway includes for each a 20 minute private Infrared Sauna session, followed by an Aroma Massage in our couples’ suite, Avanti Facials and Spa Pedicures. Complimentary glass of wine will be offered. A tranquil day of diversion just for gentlemen! This experience includes a Swedish massage, Body Wrap with scalp massage, Men,s Facial, Sports Pedicure, and a Sports Manicure. A healthy lunch is included. Let us sway you away with the sea! Your refreshing journey includes a Body Scrub or Wrap with a Vichy Shower, Avanti Facial, a Pedicure with Paraffin Dip and Avanti Manicure. Melt away your everyday fatigue and stress with a LaStone Massage, Deluxe Spa Pedicure and Spa Manicure. Let yourself go with a relaxing Swedish massage, soothing Avanti Facial and a wonderful Avanti Pedicure and Avanti Manicure. Take a short time-out for you to relax and rejuvenate. Begin with a Mini Avanti Facial, 25 Minute Massage, and finish with an Avanti Manicure. You’ll be feeling better in no time! A wealth of pleasure awaits you with Avanti’s Signature Spa treatments! From serene wraps to exhilarating scrubs and everything in between, we specialize in pampering you! Enjoy the natural look of healthy bronzed skin without the sun’s damaging rays. A gentle exfoliation is followed by a non-streaking, self tanning application that leaves you naturally glowing in 2-3 hours. A complimentary bottle of tanning lotion helps you maintain your tan at home. This invigorating exfoliating treatment uses sea salts and essential oils to remove skin impurities and hydrate the skin leaving it silky, soft and glowing. Includes a light massage. A joyful journey that includes a light exfoliation and custom wrap along with a relaxing scalp massage. Immerse yourself in an effervescent warm mud wrap that remineralizes your skin. This mineral rich mud wrap will draw out impurities while soothing muscles. Includes exfoliation and moisturizer. A protein-rich deep cleanser for the body. Contains natural minerals and vitamins from the sea. Detoxifies while reducing water retention. *Not for those with iodine/seafood allergies. Infrared heat and colored light therapy are used together to help diminish muscle aches and stress. Enjoy before or after any Spa service or all by itself! Highly recommended paired up with a massage. All Avanti Facials include cleansing, exfoliating, extractionsand vitamin treatments. Avanti Salon & Spa offers customizedfacials and treatments, using the highest quality products,combined with the latest techniques to provide a response to the needs of every skin type. Highly active ingredients combined with precise techniques make this a dream come true facial. A back, hand and foot massage are incorporated for a full body experience. You will notice a difference after the very first treatment. 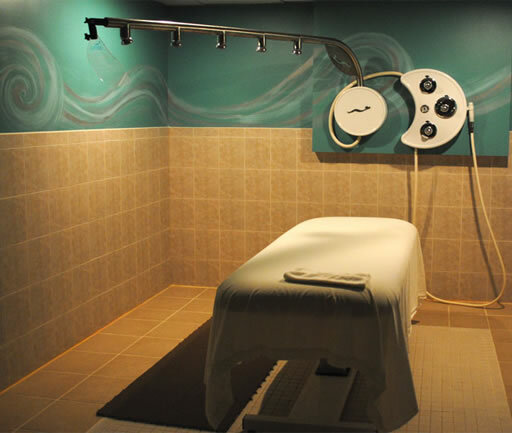 Your escape begins with a light, relaxing 15 minute back massage followed by your custom Avanti facial. Our exclusive European Facial customized to your skins’ specific needs. Designed to address the specific needs of masculine skin. Avanti’s European approach designed for the back. If you,re on a tight schedule, our Mini-Facial will quickly cleanse, exfoliate with masque, and tone and moisturize your skin with time to spare. A technique used by skincare professionals to improve the quality of skin. It involves applying a chemical solution containing various active ingredients to remove the top layer of dead skin, revealing fresh, rejuvenated cells. A treatment concentrate targeted for the specifics of the neck and decollete area, designed to preserve its firmness and smoothness and reduce pigmentation irregularities. A gentle exfoliation and hydrating mask addresses sun damage and helps hands and feet look and feel supple and smooth. The primary goal of a massage is to encourage relaxation, healing and well-being through touch. We believe regular massages alleviate symptoms of stress and provide balance to our lives. Our team of professional massage therapists offera variety of techniques to promote relaxation, relieve muscle tension, improve circulation and reduce anxiety. .
A tranquil and therapeutic Swedish massage that uses firm, gentle flowing movements to soothe the body and reduce muscle tensions. Experience the therapeutic benefits of aromatherapy with a blend of customized essential oils based on the clients target areas. It will not only awaken your senses but comfort your body and quiet your mind. An indulgence your both deserve! Begin together with a quiet 20 minute session in the Infrared Sauna followed by each receiving a relaxing 50 minute massage in adjoining suite. In this ancient healing form of bodywork, heated and cooled stones are strategically applied to the body to relieve stiff and sore muscles. Your therapist then uses heated hand-held stones to perform a full-body massage alleviating the chronic and acute discomforts of daily life. Ideal for athletes and physically active individuals. This vigorous massage drains away fatigue and relieves swelling. Helps to reduce muscle tensions and promote flexibility. An ancient Egyptian practice that applies pressure to certain areas of the feet which correlate to the other organs in your body. Helps to increase circulation, promote healing and ease stress. This treatment helps to remove accumulated wax and moisture within the ears. Great for swimmers and those with chronic ear infections. A light ear massage is included. Reiki is an immediate feeling of mental, physical, spiritual and emotional relaxation. It relieves and balances the energy within and around the energy fields of your body. Reiki is a technique that is thousands of years old and is practiced ona daily basis in Japan for wellness. Our Make-Up Artists are experts in guiding you to a fresh and healthy look for everyday living or in creating a sophisticated and show-stopping look for that special occasion! *Complimentary skin tone foundation match available. Please refrain from tanning 24 hours prior to appointments. It is recommended that new growth should be a minimum of 3 weeks.